Follow these steps to remove participants from your challenge group. Once users create their MoveSpring accounts, you can add them to all future groups through the admin center. 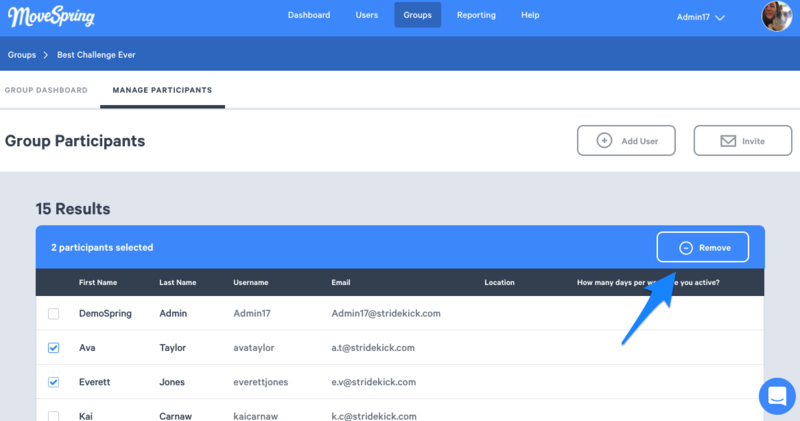 You will see your participants in the 'Users' tab and can manually add them to challenge groups from each group's page. 1. Click on the name of a group from the admin center 'Groups' tab. 2. Select 'Manage Participants' tab along the top nav of the challenge group. 3. Select the 'Add User' button in the top right hand corner of the Manage Participants tab. 4. Select the box next to each user you'd like to add. The pop-up will only show users who are not already in the group. Therefore, if you can't find a user in the pop-up, they have likely already joined the challenge. 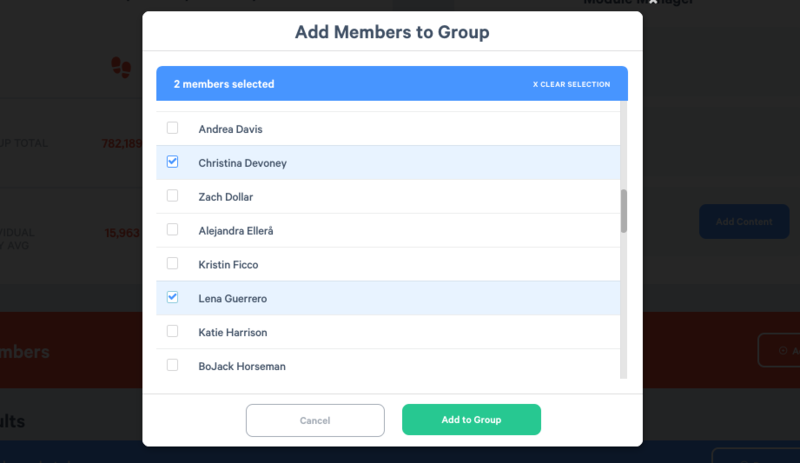 All users selected will be added to your group. 3. Select the box next to each existing user in which you'd like to remove. 4. Click the Remove button to remove them from the challenge. This will remove the challenge group from their dashboard. They will either need to join on their own or be manually added back to the group by an admin to participate.